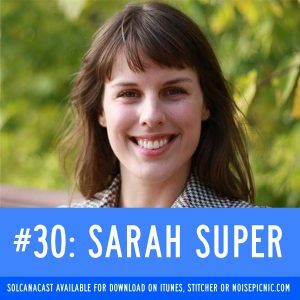 Join us for this super special episode with Sarah Super, the creator of Break The Silence, one of 30 trauma-sensitive yoga instructors and so, so, so much more. Come learn her story, how it informs her work and how we can all learn from supporting trauma-sensitive environments–and what this means. You said what I have thought so often regarding the catch 22 in being an assertive woman and calling out sexist features of our culture, but then having your words written off as coming from a bitter/angry woman since women are supposed to be demure and not make waves. This “punishment” of assertive women also seems intended to make an example of them for other women who might be thinking the same things but don’t want to say it out loud. So thank you ladies for being part of the solution and trailblazing! We’re so glad you enjoyed the episode, L! More power to you, to us, to all women and people whose voices have got to be heard!